When Jack Kulp founded TrafFix Devices in 1987, one of his major goals was to design and manufacture all products within the United States. 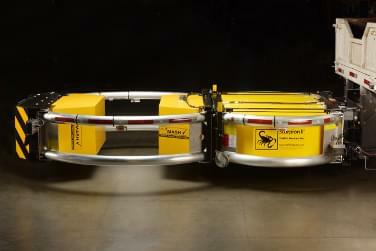 With that goal in mind, TrafFix Devices is now one of the largest producers of road safety products in the world. Jack and the TrafFix Devices Engineering Team are constantly hard at work designing and engineering products that will revolutionized the construction and traffic safety industries. The Scorpion TMA has also been tested and has PASSED ALL optional and mandatory requirements suggested in the NCHRP-350 Report for TL-3. Additionally, the Scorpion TMA has passed the UKTD49, 110 km/h (68 mph) test. 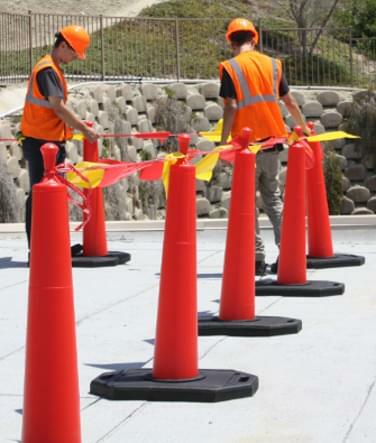 The Roof Edge Delineator Cone system from TrafFix Devices is designed to provide a quick and easy OSHA compliant Roof Warning Line System. 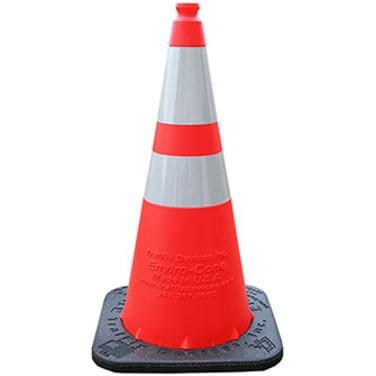 Roof Edge Delineator Cones are made of Low Density Polyethylene plastic for increased durability in all weather conditions and the cones can be stacked for easy transportation and storage. Each Cone features a 30lb Recycled Rubber Base that easily drops over the cone for quick setup. 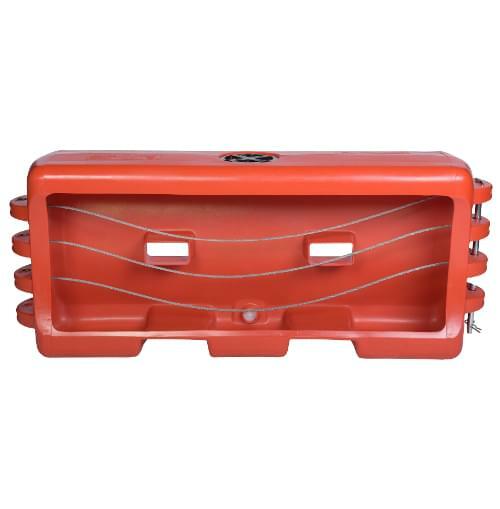 In 2002, Jack's goal to design and manufacture all TrafFix Devices products proved to be difficult when work began on a weather resistant channelizer cone. Todays' standard for channelizer cones, between 18" and 36", is to use PVC for its low cost, and high durability; because of this low cost, many PVC manufacturers have moved away from the US to keep their costs down. While PVC is a strong and durable plastic, it does not hold up well when exposed to hot and cold temperatures. PVC cones break when temperatures drop below 0°F. When temperatures are above 100°F, PVC cones to "droop" and lose their structural integrity. At more extreme temperatures, over 120°F, PVC has been known to melt to road surfaces. Over the years, we worked with a number of different PVC manufacturers to design a PVC cone that would outlast and outperform similar products on the market; however, PVC could not stand up to the temperature ranges we desired. ...And the Enviro-Cone was born! Then Enviro-Cone stays strong and upright in extreme temperatures as high as 185°F and can handle temperatures as low as -40°F without shattering or tearing. With its ingenious "break-apart" design, the Enviro-Cone can separate from its base when impacted by a vehicle reducing the chance of the cone being destroyed. If a stem is ever destroyed, simply reorder the stem and reuse the base. Since it's release in early 2014, the 28" Enviro-Cone has received extremely positive feedback from our customers and distributors. Not only has the Enviro-Cone surpassed its intended goal, it has pushed the company into a new direction: Environmentally friendly traffic safety products.